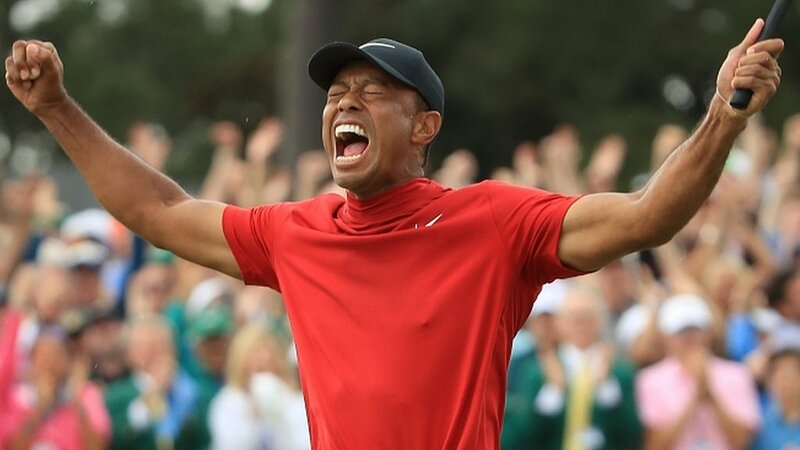 The 43-year-old, written off by so many so often as he battled back problems in recent years, punched the air in delight, a wide smile across his face, before celebrating with his children at the back of the green. Molinari, who played with Woods in the final round as he won The Open last July, dumped his tee shot into Rae’s Creek at the front of the green and walked off with a double-bogey five. A par on the 17th left the world number 12 with a lead of two shots going up the last – only Brooks Koepka, who has won three of the past seven majors, could realistically put any pressure on but the American missed an eight-foot birdie putt to stay at 12 under. Woods appeared to chunk his second shot to the 18th, leaving it well short of the green and could only chip on to 14 feet. But a straightforward two-putt sealed the win.